While Amazon is raking in the lion's share of money spent by public-cloud users, Oracle is doubling down on its hybrid-cloud strategy, appealing to enterprises that want to put data and applications behind their firewall while taking advantage of cloud pricing models and technology. Oracle has greatly expanded the services available through its on-premises Cloud at Customer offering so that they are essentially at parity with what the company has on its public cloud. The company announced Tuesday that a broad portfolio of SaaS (software as a service) applications as well as PaaS (platform as a service) and Oracle Big Data Machine services are now available via Cloud at Customer. Among the hyperscale providers, Oracle was relatively late to market with a whole-hearted commitment to the public cloud, and as a result lags well behind the market leaders in revenue market share. Amazon captures about a third of all the money users spend on public cloud services, roughly equal to the next three providers: Microsoft, Google and IBM. Ali Baba and Oracle come next. Oracle meanwhile can now boast that all its cloud offerings are also available on-premises, using all the hardware and other technology used in the public cloud, and that it allows users to set data residency and applications usage policies to control not only who has access to cloud services, but where the data resides. Carl Olofson, research vice president of data management software research at IDC. Oracle stresses that its pitch is aimed at companies like banks and healthcare providers, who have data-security, compliance and regulatory issues to grapple with -- whether they are current customers or not. It also differentiates Oracle from some of the market leaders. "Google and AWS do not offer an on-prem version of their clouds, but aggressively compete to help customers not only migrate to the public cloud easily, but integrate public cloud with data center assets (like storage)," said Dave Bartoletti, vice president and principal analyst at Forrester Research. While IBM and Microsoft are making some cloud services available for enterprise data centers, they are taking a different approach. IBM offers Blue Mix local, designed to help companies take a hybrid approach to building and running cloud apps. Meanwhile, Microsoft announced last week that hardware for its on-premises Azure stack would ship in September. "IBM BlueMix has an on-prem option, but this is more for putting part of the BlueMix stack in your data center," said IDC's Olofson. "Microsoft Azure Stack Hardware is really a do-it-yourself approach that involves following a Microsoft-provided spec to set up an on-prem implementation of some portion of the Azure software that, for some reason, you may need to run on-prem." For its part, Oracle first announced the Cloud at Customer concept and started delivering services for it in the first quarter of 2016, and has been working to expand it. "We've been evolving our offering quite aggressively. One of the things we announced initially was a major shift in how we deliver our cloud's capabilities versus other companies out there, the ability to run public cloud capabilities behind the customers' firewall or also at a data center of their choice," said Amit Zavery, senior vice president, product development, Oracle Cloud Platform. "This came up from the idea that enterprise customers have a lot of regulatory requirements and government customers also have a lot of concerns about how they can be in the public cloud -- so how do you get public cloud benefits and run them where they choose to?" Zavery said. --PaaS: Customers can access essentially all of Oracle’s major PaaS offerings, including database, application development, analytics, big data, application and data integration, and identity management services. 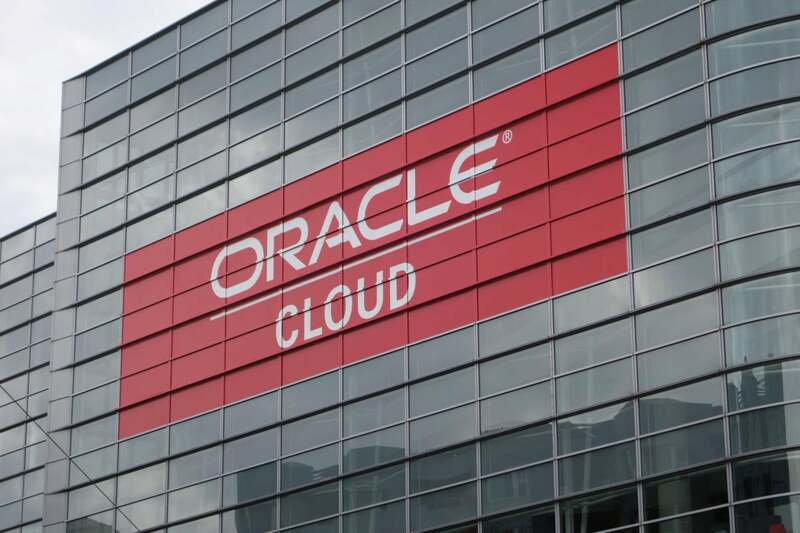 Oracle notes that the services benefit from enhancements made to the underlying Oracle Cloud at Customer platform, such as NVMe-based flash storage, an all-flash block storage designed to fuel performance of enterprise workloads. --SaaS: Enterprise software is being offered via Cloud at Customer for the first time. Apps include ERP, Human Capital Management, CRM and Supply Chain Management. --Big Data Cloud Machine: Also available for the first time via Cloud at Customer is the Oracle Big Data Cloud Machine, a Hadoop and Spark platform. This allows users to access Hadoop, Spark, and analytics tools on a subscription model. Healthcare companies, financial services, and government agencies aren't the only target customers for on-premises cloud offerings, Zavery pointed out. Factories, for example, may be able to make use of on-premises and hybrid cloud technology but may not have data centers to support those systems. For such customers, Oracle comes in to their facilities and deploys the hardware and software needed to run its Cloud at Customer offering, requiring only an initial usage commitment. Then, customers are charged the same price that they would be paying for public cloud services. Once the system is deployed at a customer's facilities, Oracle manages it remotely. Oracle's Zavery acknowledges that Oracle has not put all of its software on the public cloud, but as it does so, it will also become available via Cloud at Customer. "The goal here is to keep everything in sync; we will be adding more services as you can imagine to the public cloud," Zavery said. "Not everything going on the public cloud is done yet but everything we make available on the public cloud will be on Cloud at Customer."